As a white Virginia high school student in 1964 I recall being inspired to hear that young people from all over the country were going to Mississippi to help register Black people to vote, and even more I recall being shocked and outraged to hear that they were being beaten, arrested and even killed. This movie, though interviews, documentary footage, photographs and drawings, brings all of this alive in a moving and powerful way. 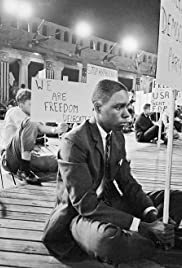 You meet the young people themselves, black and white, and find out why they did what they did, how it effected them and how it helped to change history. This is not a stuffy history lesson, but a true story bursting with life about people fighting for a better world.